Do you love historical fiction. Are you a fan of the American Revolution! Here is rip roaring read perfect for you. Catherine flung out her hands as if her flesh could protect the children huddled behind her from musket balls and tomahawks. She raised her head and stared into the war-hardened eyes of a Mohawk warrior. A weapon clutched in each hand, his body smeared with grease paint and blood; he had come to wreak destruction he had come to kill. In 1753, Catherine Wasson and her extended family depart placid New Hampshire to settle in the raucous Mohawk Valley of New York, in search of fertile land and a better life. It doesn’t come easy. Catherine must adapt to a multicultural frontier society of wealthy Dutch settlers, hardscrabble Germans, Scots-Irish, African slaves and the original inhabitants; the fiercely independent Iroquois confederation. Within months of their arrival, conflict with their age-old enemy, the French, erupts into a war that threatens their homes and lives. When peace returns, Catherine and her new husband, Samuel Clyde, make their home in the idyllic but remote Cherry Valley, perched on the edge of the Indian frontier. Their peaceful life is short lived. Americans demanding their freedom break from the mother country. As conflict escalates, the Mohawk Valley descends into guerrilla warfare; brother against brother, neighbor against neighbor; everyone must choose a side. On a frigid November morning, Catherine finds herself face to face with Mohawk warrior, Joseph Brant, War Chief of the Iroquois. Once her childhood friend, he is now her greatest enemy; her life is in his hands. This is the story of my ancestor Catherine Wasson Clyde, wife of Revolutionary War hero Colonel Samuel Clyde. Catherine’s singular life is one of bravery, determination and survival. 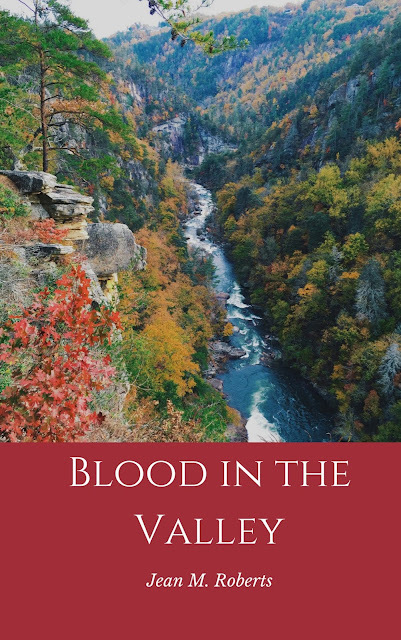 BLOOD IN THE VALLEY is available now on Amazon.com.